The Travel Bug has just returned from a long weekend in Paris and had a lovely time in the City of Lights. He drank too much champagne and ate too many baguettes, but he enjoyed finding out lots of random facts about Paris. Paris has around 470,000 trees and ever single one of them is measured. Every. Single. One. TTB thinks this doesn't sound like his ideal job...even if it is in Paris. There are more dogs in Paris than children. TTB thinks this is the best thing about the city; all those dogs to pet and hardly any noisy kids. Children try to pull TTB's nose off and he doesn't like that very much. They seem to think he's some sort of fluffy food product. A Paris apartment was left locked for 70 years but its rent was always paid on time. When the mysterious renter of the property died and the apartment door was finally unlocked, an art work valued at €2 million was discovered. TTB always keeps his doors locked in case someone tries to steals any of the pictures he paints for his human's fridge. 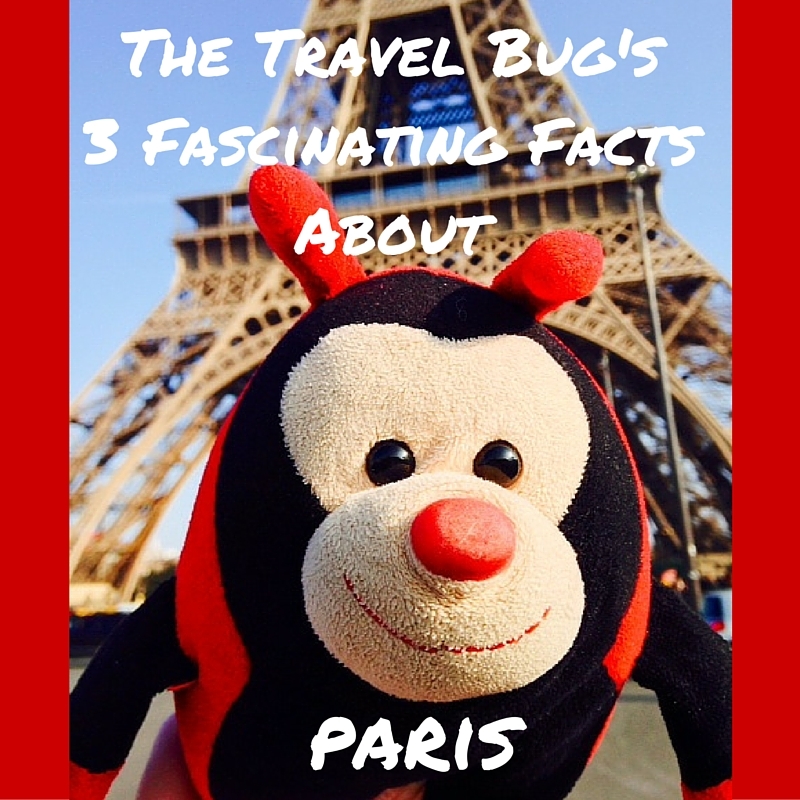 Do you have any more fascinating facts about Paris for The Travel Bug? ?